The company behind the pitch for a rocket launch site has requested environmental approval, but one of the proposed propellants is causing concern. The company behind a proposed spaceport has made its pitch to the environment minister for approval, but a professor at the University of British Columbia is raising concerns about an "exceedingly toxic" rocket propellant that will be used at the Canso, N.S., operation. 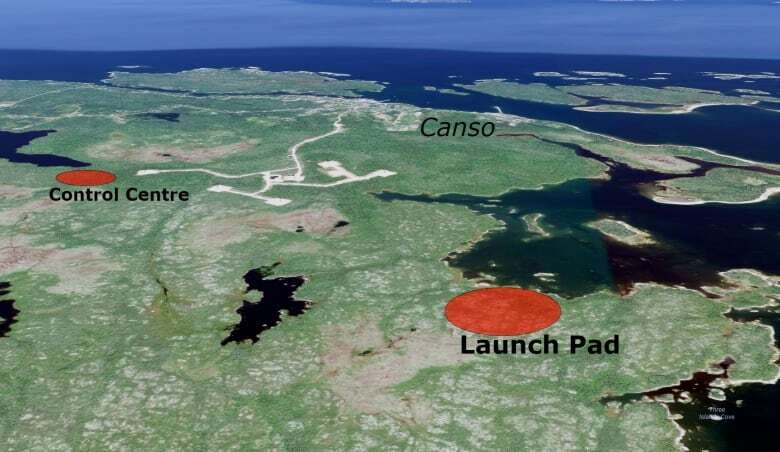 The project will see a private, commercial rocket launch site constructed just outside Canso. The rockets won't be used to send humans into space, but rather satellites for use in near-earth imaging, communications or scientific experiments. Maritime Launch Services plans to start with three launches each year and work its way up to eight, with its inaugural launch scheduled for the summer of 2021. The environmental assessment's bottom line on the environmental effects of the project is that they will be "of low significance or not significant." But Michael Byers, a political science professor at UBC, said there is a danger associated with a propellant called unsymmetrical dimethylhydrazine, or UDMH — which he said is known in Russia as "the Devil's Breath." The rockets would use kerosene and liquid oxygen for the first stage of the launch. The UDMH would be used along with nitrogen tetroxide in the second stage, which would fire in the upper atmosphere, hundreds of kilometres away from the Canso area. But that distance doesn't reassure Byers. "If something goes wrong on launch, you know, if the rocket were to tip over and explode, or if there were some kind of spill during transportation or assembly, you'd still have a serious health and environmental concern." 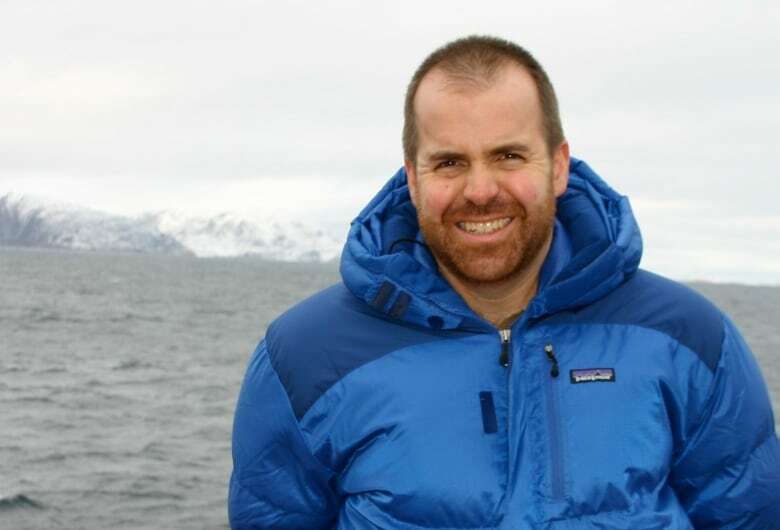 Byers, who has run federally for the NDP and advised former leader Jack Layton on Canadian defence and foreign policy, published an article in the peer-reviewed Cambridge University Press journal Polar Record last fall examining the scientific literature on the health and environmental effects of UDMH. He found rates of "unusual cancers" doubled in some areas of Kazakhstan and Russia where people were exposed to UDMH as a result of spills or particles in the air after rockets fell back to earth and ruptured in the atmosphere. Byers said there were also reports of widespread death among livestock and fish exposed to UDMH. "It's intensely dangerous stuff. You know, one way to describe it is that one drop of hydrazine in an Olympic-sized swimming pool would kill anything in that pool," he said. Byers said most countries that use UDMH for rocket launches are moving away from it, including both Russia and China. His concern with the Canso proposal is the potential for a failure at launch or a spill before launch. He said the proposed combination of propellants is new, and new rockets have a "fairly high" failure rate during the first few launches. "So I wouldn't want to be anywhere on the east coast of Nova Scotia the first time that they launched one of these," Byers said. Stephen Matier, the CEO and president of Maritime Launch Services, did not want to be interviewed. He said he wanted to "honour the process" of the environmental assessment. The first stage of the rocket, which propels it above the launch pad, as well as the protective cone for the second stage, will fall and sink to the bottom of the ocean about 2,000 kilometres south of the launch site. The upper stage will remain in orbit. The environmental assessment makes brief reference to risks associated with propellant spills, which the company acknowledges could happen during transfer to or from the processing facility or during launch failure. If a spill happened at the processing facility, it would be controlled through catchment systems and holding tanks and "would not impact surrounding soils," the document notes. In a spill caused by a spacecraft crash or launch failure, the propellant would be collected and disposed of, and contaminated soil "would be removed and treated as hazardous waste." "Short-term impacts on localized soils may result, but long-term impacts would not be substantial," reads the assessment. A launch failure could also release petroleum products into the upper metre of soil, "causing impacts to shallow groundwater." The document refers repeatedly to the company's environmental protection plan, which will include spill prevention, response and cleanup procedures, but that plan won't be developed until after the environmental assessment is approved. The first stage of the launch mainly produces carbon monoxide, carbon dioxide and water — the primary concern being carbon monoxide, the document states. "The hazards associated with exposure to carbon monoxide are well understood and regulated in legislation," it notes without further detail. Other gaseous or liquid chemicals are released into the atmosphere in the "higher reaches of the flight trajectory," but those are "considered to be short-term and localized, with no substantial cumulative impacts based on eight launches per year," the assessment says. The document acknowledges that emissions from the rocket launches, including sulphur and nitrogen dioxides, "may have negative impacts to water quality if they deposit within watercourses and waterbodies, consequently impacting fish habitat and aquatic species." But it doesn't expand on that risk, concluding simply: "As launches will occur intermittently throughout the year, it is uncertain to what extent deposition may occur and whether this will impact the freshwater environment." Before launches, the area around the site must be cleared of the public. A radius of 380 metres will be cleared two or three days before a launch, and that distance increases to two kilometres during the launch, including the offshore area. Maritime Launch Services will monitor the area by video surveillance with zoom lenses and may use drones, aircraft and boats to ensure members of the public are not in the restricted zone. Lobster season in the Canso area runs from mid-April to the end of June, and the company says it will stop its activities at the port on the first and last day of lobster fishing season and will work with the Guysborough County Inshore Fishermen's Association to minimize impacts on the industry. Ginny Boudreau, the association's manager, said fishermen have many questions about the project, including about contamination of the water, delays or closures of fisheries, ship traffic and gear conflict. Boudreau said she's still wading through the lengthy document and plans to file a response. "But we are not naive enough to think that a fishermen's association or the fishing industry is going to carry a lot of weight in these projects where there's jobs and revenue for the province.… We can only trust the proponent themself to operate as environmentally safe as they can." In an area where sound is "largely dominated by wind and rustling vegetation," the company expects the roar of rocket launches to generate complaints. For residents in nearby Canso, the noise from the rocket launches will be 90 to 100 decibels — roughly the equivalent of the sound of a lawnmower or motorcycle from 7.5 metres away — for about 90 seconds. Rocket launches cause sonic booms, a characteristic "bang-bang" sound created by shock waves when something travels faster than the speed of sound. The assessment says sonic booms are not expected to have an impact on the mainland, although Sable Island may experience low-level sonic booms without adverse effects. The company is also anticipating complaints about damage to buildings, including windows and plaster walls and ceilings. Residents had raised concerns during public consultation about the volunteer fire department's capacity to deal with an emergency at the project site. The company says it plans to develop an agreement with the municipality to have paid staff in the area to respond to calls at the site or in the community. Since the site will contain liquid oxygen and "non-traditional fuels," the company also plans to beef up training and gear for fire crews and assess any need for additional training at the hospital. Lights from the project could confuse migratory birds, which could then fly into the nearby Cape Sable Wind Farm, the document notes, so the company may use special lights and reduce lighting during migration. The tremendous noise of a rocket launch could scare breeding birds off their nest or discourage them from returning to the area. There is a "remote possibility" that birds could be exposed to pollutants, including UDMH, but effects on birds are "extremely unlikely," the study found. The endangered monarch butterfly and mainland moose earned special mention in the document. Maritime Launch Services says if large groups of monarchs are found, activities will stop until the group has migrated, and the company will report any evidence of moose. 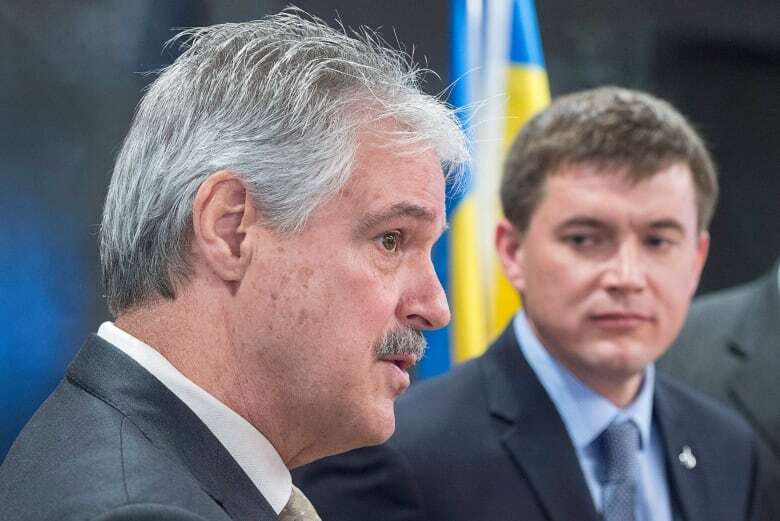 Members of the public can comment on the environmental assessment until Aug. 3, and the environment minister has until Aug. 23 to approve or reject the study.